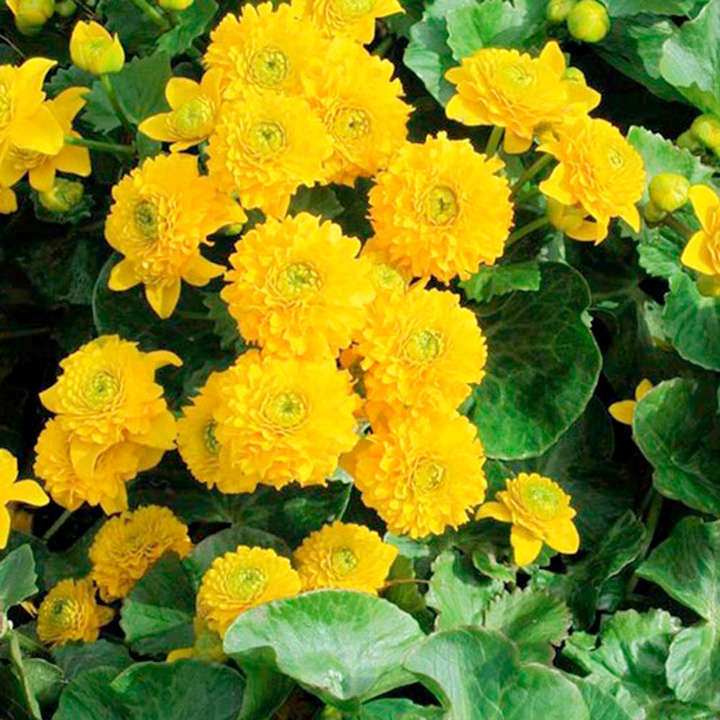 As Caltha palustris, but with beautiful double yellow flowers in early spring. It was first discovered and cultivated in Austria in the late 16th century. Flowers March-April. Height 20-30cm. Maximum depth 10cm. Supplied in a 1 litre pot.